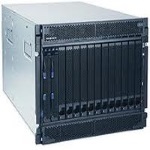 1 x 160GB 7.2K SATA 3.5"
Maxicom Server rental include HP, IBM, DELL and SUN server on rent. We offer flexible equipment rental and leasing options to both small and large businesses needs to fill either short-term or long-term demands. We recognize that our customers often require customized solutions and are able to meet almost any project requirement from stand alone computers to a datacenter. These are exactly like your own Equipments. We cater to the demands of our esteemed clients and offer servers, storage and networking like routers for rent.